Do you want to become a journalist? 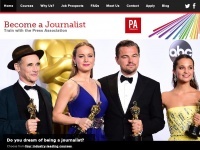 Award-winning journalism courses from Press Association Training. The websites creator or author is Press Association.